I sit down on the plane. “I run a fitness website.” I reply. “What is it all about?” He inquires. “Helping busy people get shredded in less time through jump rope and body weight workouts.” I reply. “Interesting. Don’t you also need to lift weights and jog too?” He asks with a confused grin. “You could. Depends on your goals. Do you like to lift weights and jog?” I respond with a grin. “Sort of. I am getting kind of bored and not losing enough fat. I just always read that is the best way to exercise.” He responds. When I say the word exercise, what comes to your mind? Do you like exercising or is it simply something you do to achieve an outcome? More importantly, are you having fun? Do you get enjoyment out of the process? As a busy fitness entrepreneur, I have something to confess. To most people, exercise connotes something you do because you have to. You get up every morning at 5am to run 5 miles because you think that is what you need to do to lose 30 lbs. Why not wake up everyday at 5am and jump rope for 30 minutes to house music to achieve your weight loss goal? It’s like waking up Monday morning and driving to work. You have to go into work every Monday so you can make money to pay your bills but it doesn’t necessarily mean you want to. Why not find another way to make money to pay your bills? While you might have less control over your work situation, you do control how you decide to move and lose fat. Here are 4 reasons why the term exercise is becoming less relevant in the world of fitness, health, and attaining a lean muscular physique. When you think of exercising, you might think of gym memberships, running shoes, or fancy Schwinn road bikes. When you think of movement, that could mean almost anything. Jump rope, jog, hula hoop, basketball, weight lifting, biking, hiking, walking, dancing, etc. I’m obsessed with jump rope but guess what… it doesn’t work for everyone. The reason I got so lean isn’t because the jump rope is the only tool to get a person ripped (although it does work wonders if used effectively)… it’s because I love skipping rope to music! If you love to ride bike… don’t go jogging 4-5 days a week, get on that bike and ride until you reach the next state! If you love to lift weights, get in there and squat until your quads look like bricks. 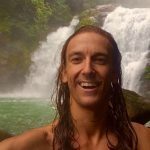 I recently met a guy who is probably one of the most jacked people I have ever seen and guess what – all he does is yoga and pull ups! My point: if you approach fat loss by forcing yourself to exercise… you will most likely plateau, not to mention stunt your goals because you aren’t pumping 100% adrenaline and effort into your workouts. Instead of exercising, try various forms of movement that excite you. Do you want to look like a bodybuilder or a soccer player? Do you want to dunk a basketball or bench 400 lbs.? My goal is to maintain 6% body fat year round while traveling and enjoying life. I am a busy entrepreneur and I want the best results in the least amount of time. Therefore, my goal is sustained fat loss while preserving lean muscle. I don’t care about “getting jacked” so I spend less time lifting weights and more time doing things like box jumps, sprints, pull ups, and jumping rope when I am on the road. Since compound exercises like benching and squating are still very helpful for burning fat and preserving lean muscle mass, I do them once a week. However, I focus a majority of my time on movement I love that also aligns with the physique I want. Figure out exactly what your fitness goal is and move in ways you enjoy and are aligned with your physique goals. If your goal is simply to look good naked, stop training for the CrossFit games. Whether it be for vacation, business, relocating, or just getting lost, people are on the move more and more. Does that mean losing fat and getting lean needs to wait until you return home? Hell no! When I am traveling the world for work or pleasure, my number one goal is creating awesome adventures, not looking for a Gold’s Gym. Instead of finding a place to get some exercise, think of creative ways to move in your environment. Turn your location into a gym! When I am in San Francisco I jump rope in Union Square. When I am at a Vermont ski resort in the summer, I run sprints up the slopes. When I am in the suburbs of Chicago, I workout in my hotel room. Get rid of the idea that you need to be in a specific place, doing a specific type of exercise or routine to get an effective workout in. Through my own transformation and helping numerous entrepreneurs and busy go-getters lose fat and achieve a lean, muscular physique, I have noticed one major mindset shift that separates those who get lean and those who stay lean. Guess what… it doesn’t mean MORE exercise. If you view fat loss as an endpoint, chances are you “exercised” for a few months, hit your goal, lost some weight, and your motivation to continue exercising. If you are doing something you dislike, iIt’s easier to stop doing it once you hit your goal. Example: Dan hates jumping rope but his high intensity jump rope routines have helped sculpt his body into a sprinter physique. He loses 10% body fat and is now an absolutely shredded 6%. However, he got there doing something that didn’t really interest him so now he stops doing high intensity jump rope workouts. What do you think happens to that shredded 6% body fat physique? Find ways to incorporate forms of movement that excite you into your lifestyle. Don’t try to fit your lifestyle into boring exercise routines. If you find yourself bored, worn out, or frustrated from your current fat loss strategy I think it’s time to take a step back and think about how you approach the process of moving to lose fat. Losing fat and maintaining a lean, healthy figure is much easier when you are having fun. Life’s is too short. I’m done exercising. Dan Witmer is the Founder and Chief Jump Rope Trainer of BassJump. 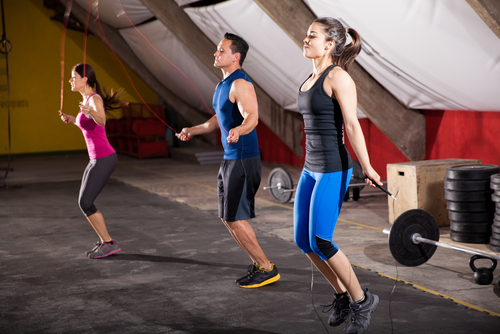 BassJump is a series of high intensity jump rope and body weight exercise workouts for busy people who want to look and feel awesome in less time. BassJump’s mission is to prove that you can maintain a lean, healthy figure, anywhere in the world, with a jump rope and your body. When not fulfilling his dream of jumping rope in every major international city, Dan can be found roaming weird neighborhoods at night looking for graffiti and clubs where people actually dance. Check him out at www.bass-jump.com.